In all aspects of his work, Moran’s creative process is informed by one of the essential tenets of jazz: the “set,” in which musicians come together to engage in a collaborative process of improvisation, riffing off of one another to create the musical experience. 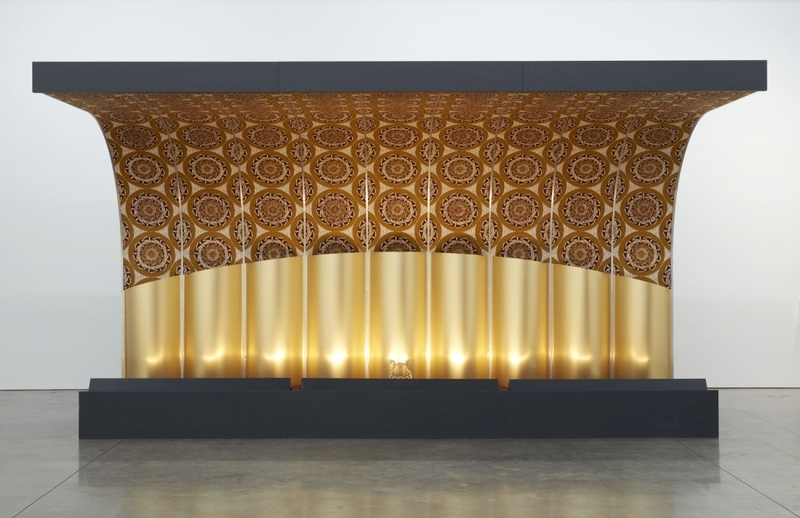 The exhibition will highlight his mixed-media set installations based on storied jazz venues from past eras, including STAGED: Savoy Ballroom 1 and STAGED: Three Deuces (both 2015), sculptural vignettes that were his acclaimed contributions to the 2015 Venice Biennale. The presentation includes the premiere of a new sculptural commission from this series that takes inspiration from the celebrated New York jazz venue Slugs’ Saloon, which was open from 1964 to the early 1970s. Also featured will be a selection of Moran’s most recent charcoal drawings and several projected media works from his long-standing collaborations, or sets, with artists including Lorna Simpson, Glenn Ligon, Joan Jonas, and Stan Douglas. In-gallery performances will also be orchestrated during the run of the show. Moran has been a faculty member of the New England Conservatory since 2010. For more information, please visit the Institute of Contemporary Art Boston's website.